Whilst this is not strictly a City & Guilds training course, it does offer a certificate of competency when completed. This gives evidence that the candidate possesses the ability to carry out safe PAT Testing within the UK and Ireland. The course contains both practical and theory modules, and offers plenty of hands-on learning in real-life scenarios. The course covers subjects such as the basic principles of electricity, the classification of appliances, electrical dangers, legal requirements, IEE Code of Practice, recording results and also how to use a PAT Tester machine effectively. On completion of the course, successful candidates will be able to undertake PAT Testing with confidence, as well as being able to keep accurate test records and carry out PAT Testing for their own company and also as a service to other companies. The PASS PAT Testing competency course has a 20 question, on-book examination. All candidates will be closely monitored to ensure they possess a full understanding of the rules and regulations. Successful candidates will receive a Certificate of Competence in PAT Testing awarded by PASS. The course is one day long and runs from 09:00 – 16:00. 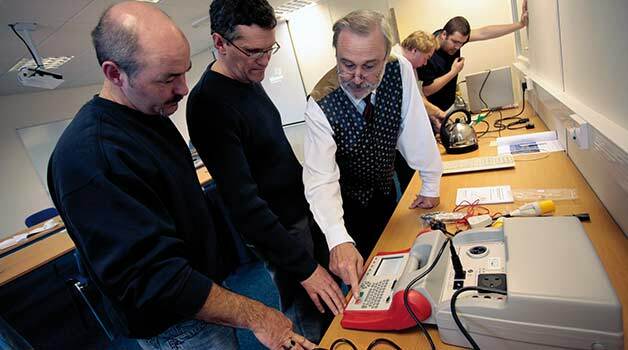 Our PAT Testing Training Course in Teesside is ideally located for those looking for electrical training courses near Middlesbrough, Sunderland, Hartlepool, Stockton on Tees, Durham, Newcastle, Gateshead, Northumberland, Cleveland, Billingham, Darlington or Redcar. The course is suitable for any person with the responsibility of maintaining electrical equipment or appliances, or who wishes to learn more about PAT Testing. Previous electrical training is not essential to take this course. We recommend that candidates buy and read a copy of the IEE Code of Practice. Although this is not essential for this course, candidates will find it useful in their electrical testing careers. As well as the theory aspect of PAT testing, get hands on experience at our Stockton-on-Tees venue.